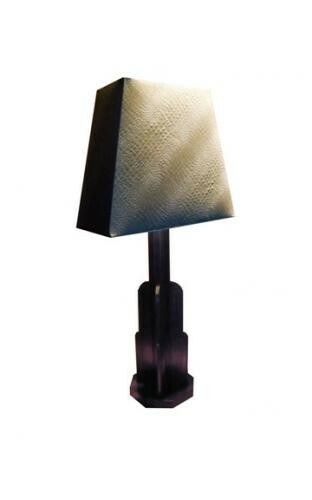 This is a stylish, industrial looking lamp made in metal and then bronzed. The base can be either Walnut or Macassar. The finished lamp looks equally good in silvered bronze. Shades can be ordered to suit the client's taste.